After a promotional tour through Europe, the vehicle returned to Suame Magazine where talks began regarding an assembly line for Turtle 2. What has happened since then? Is there going to be a Turtle 2? The exciting story of Turtle 1 is now available as a book, which will be launched in Museum Boijmans van Beuningen on 18 June. The book will be launched at Museum Boijmans Van Beuningen, where a presentation of the project is currently on show as part of the group manifestation Project Rotterdam. Playwright, photographer and Volkskrant columnist Hans Aarsman (and writer of the car culture book Vroom! Vroom!) will introduce the book to the audience. 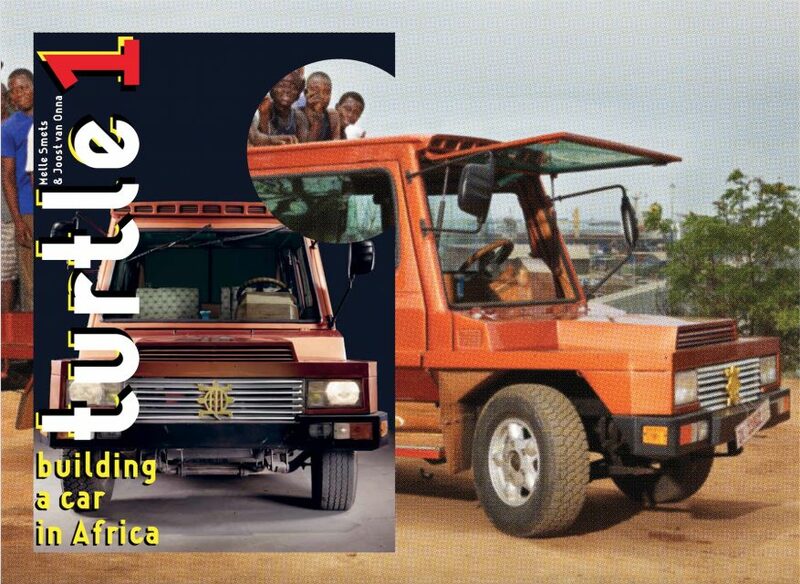 Melle Smets and Joost van Onna will present the first copy of the book to the Ghanaian Deejay O’Neil Amponsah. The launch will be live broadcast in the Netherlands and Ghana by community radio station Radio Akasanoma. Deejay O’Neil Amponsah will moderate this festive event. Order the book at Ydoc Store.